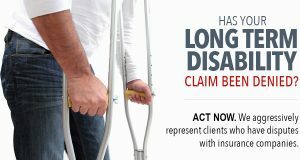 Every disability insurer is wary of fraud, and a significant part of their business is ascertaining the legitimacy of disability claims. Sometimes, however, insurance companies take their investigations too far. As increasing numbers of claimants are discovering, some insurance companies use invasive claim-investigation techniques and utilize evidence out of context to unfairly deny claims. When an insured individual files a claim under a private disability insurance policy, the insurance company conducts an investigation to determine whether the individual is indeed unable to work. Although many claims are closely scrutinized, a deeper investigation is especially common for self-reported conditions or in cases with inconsistent paperwork. An insurance claim adjuster¹ begins an investigation by reviewing records in a number of databases and the paperwork filed with the claim. The insurance company then might contact friends, family members or employers to get information about the claim and the individual’s condition. Sometimes, an investigative team is sent to monitor a claimant’s activities for a few days. Often, these claimants never know they are being watched. Investigators may even attempt to capture surreptitious video recordings of claimants engaging in behavior that could be interpreted as contrary to their disability claims, such as intense physical activity like running or lifting heavy objects. Insurance companies also use social-networking websites like Facebook and Twitter to gather information that may be used to deny a claim. An insurance company may use photographs, video or messages posted online as evidence to deny an individual’s disability claim, even if the information is used out of context. Insurance companies expend tremendous resources on investigations when the money could instead be used to pay legitimate claims. Even worse, the information gathered in these investigations often does not portray a disability accurately; fact-based inquiries like objective assessments from physicians are far better indicators of severe injury or disability. If you are considering filing a disability insurance claim, contact a Philadelphia insurance disability lawyer with experience in disability insurance cases. A Philadelphia long term disability lawyer will work to ensure your privacy is respected and to fight unfair insurance company practices that misrepresent your disability. With the proper help, you can rest assured that you will receive the disability insurance benefits you deserve. Call Edelstein Martin & Nelson, LLP at 215-858-8440 or contact us online.